Glen Keane Productions is pleased to announce the official launch of Glen’s new film, “Nephtali,” which was created for the Paris Opera to coincide with today’s launch of their new digital stage, 3rd Stage (3e Scène, in French). Here is a direct link to the film: https://www.operadeparis.fr/en/3e-scene/nephtali. Glen was personally invited to join a distinguished list of artists and filmmakers to help launch 3rd Stage by Benjamin Millepied, the new Director of Dance for the Paris Opera. Benjamin and Glen first met while they were both working on projects at Google last year. “Nephtali”, which refers to Jacob’s blessings and Psalm 42, was born from the comparison between the grace of a dancer and that of a deer. In a choreography which Glen created with dancer Marion Barbeau, he depicts the journey of a soul that is drawn towards a higher power, fights a struggle and is eventually liberated. By using both film and drawing, Glen and Marion manage to overcome the constraints of gravity and attain the freedom towards which a dancer’s body and spirit always aspire. 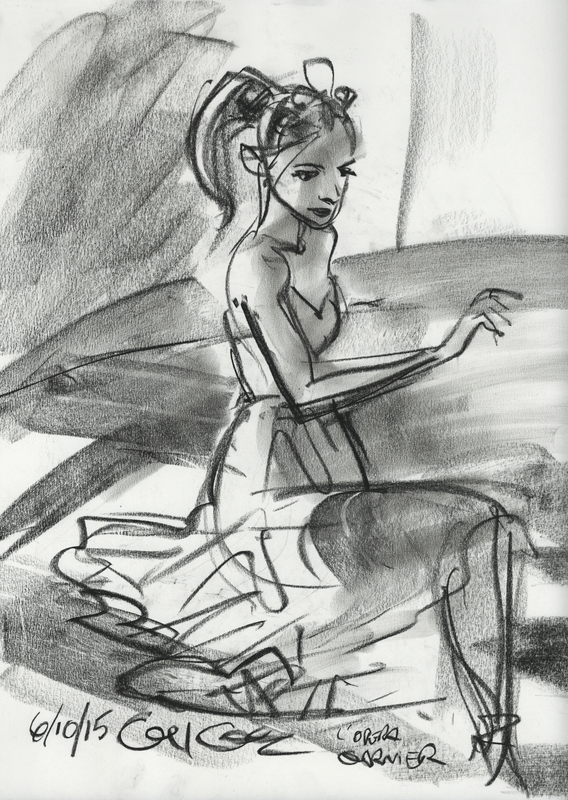 Said Glen Keane, “It was a humbling experience for me to work as an animator in the Opera Garnier. It is a palace steeped in the heritage of the craft and art of ballet. I was astounded by the expressiveness and power of the dancers I drew. There is a close connection between dance and animation. I was taught by my mentors at Disney to think in terms of “golden poses” that communicate the emotion and attitude of the character. I noticed in ballet the same use of these “golden poses.” Working with ballerina Marion Barbeau I had the impression I was working with a great animator, only she expressed herself through her body’s movements instead of a pencil… and with such rhythm and grace! I am truly grateful to Benjamin Millepied and the Paris Ballet for the invitation to step into their world and live my animation dream for a moment. Tagged 2d Animation, 2D Animator, Animation, Animation Director, Animator, Disney, Glen Keane. « The Splat is coming!